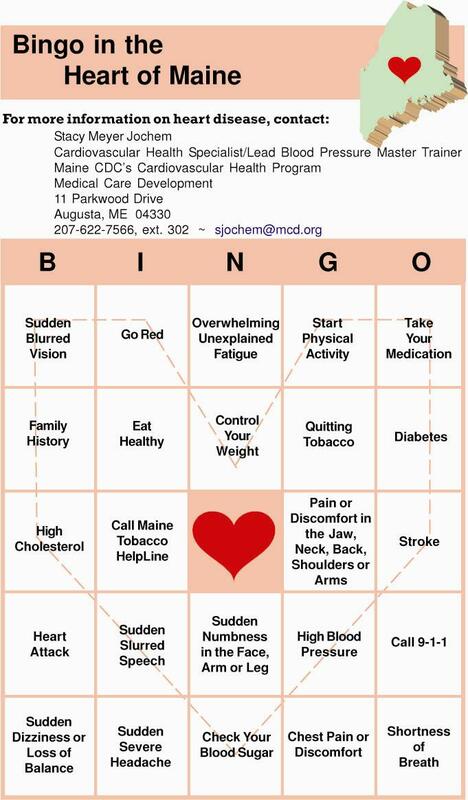 Help spread the message of heart health with "Bingo in the Heart of Maine." Based on the popular bingo game. Heart healthy messages, risk factors, and symptoms of heart attack and stroke are called off instead of numbers. Free download of everything you need to play.